Our Services included our full branding and web design package. WellLife Wellness is a fitness and nutrition consultation company that believes that wellness is achievable by all people whether your goals are to stay strong and fit as you age, reduce weight or dependency on medications, or improve athletic performance. 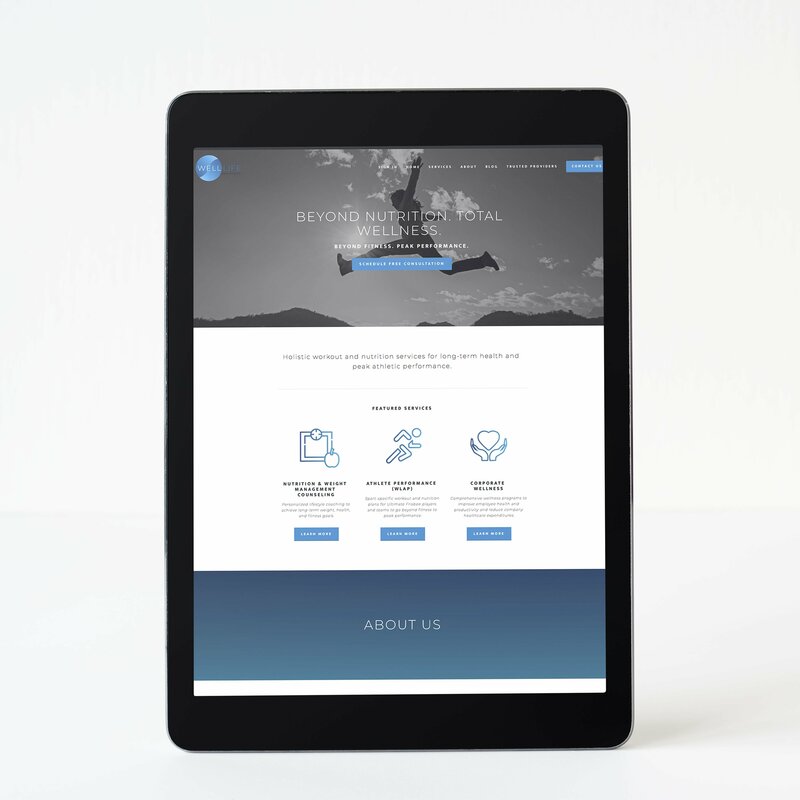 We helped streamline WellLife’s printed materials and website for a cohesive and strategic marketing game plan that will increase professional presence and client retention.